Resource > Video > How to Convert MP4 to WMV? Summary: This article lists three best MP4 to WMV converters and shows you how to convert MP4 to WMV on Windows or Mac. The MP4 is the most widely accepted format for storing video files with the highest compression factor without compromising much on the quality of the video for large screen viewing experience. It is also the standard today for uploading files on the web. These file types are also ubiquitous with the default video format in video recorders like in our smart phones. However, the WMV or also known as Windows Media Video is a proprietary video format developed by Microsoft for its Windows series of networks and devices. 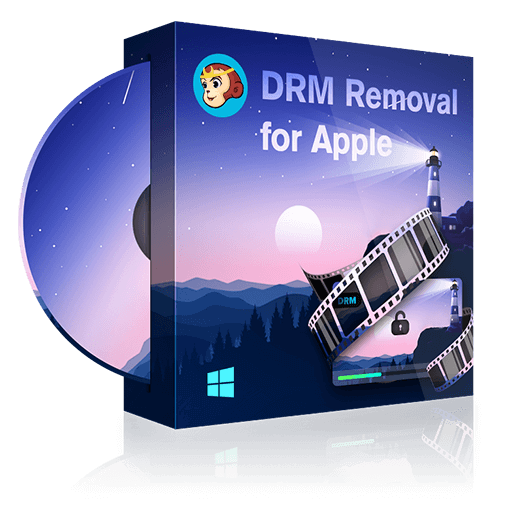 This format consists of a series of video codes that work the best for Windows PC to view media with highest uncompressed quality. This format is also the defacto for editing videos using other Microsoft tools like Windows Movie Maker that we have all used at some point in time in the past. However, in order to be able to do so, we need to convert between file types, that is, mp4 to wmv converter is needed. It would be even better to have a free mp4 to wmv converter since these are very common jobs and it's useful to not have to pay each time we convert a video. We list a series of software and tools that are the best alternative for the purpose of such conversion regime. This software is not just merely to convert between these 2 file types, but often contain more than 200 different types of file formats and allow conversion between them. Some may also allow batch processing where you can process multiple files at a time or convert a single file to multiple formats at a time. This is claimed to be one of the most full-featured video converters that are able to take care of any format you throw at it, with ease. And, essentially it stands true to its claim. Why? It isn't just doing it like everyone else, but does it with intelligence. This video converter can convert mp4 to wmv in seconds due to its multi-core support as well as hardware acceleration using the latest Intel processors and onboard graphics card on the computer or laptop. In fact, most of its products support this feature out of the box. The software can be tried for free and runs on Windows and Mac systems. This converter allows conversion between any type of videos downloaded from the net, recorded using camcorders or any other device like smart phones, and even supports many proprietary file formats used by various vendors. It also has an inbuilt video editor that allows tasks like audio-video sync, clipping and converting between parts if video to the output file, and many others for advanced users who like to tweak things even like audio bit-rate and so on. This comes with inbuilt 180 file format support. This means you can obviously convert mp4 to wmv without issues. The steps for doing so are also quite simple. The tool launches with a minimal UI. The UI is also intuitive with nice icons to help you with the process. The entire process requires 3 steps or just 3 clicks. The first click is to browse the location of your mp4 file and click to add it. This can be done via the “plus” sign or just drag and drop feature as well. The second click or the second step is to choose the file conversion format for the output file, that is, wmv in this case. We can do so by selecting one from the list below. This is also sorted by popularity and so on. Finally, the last click is to choose an output location if desired or let it do on its own into the default location, and click the convert button. That is it, and all you have to do now is waiting for a few second or minutes depending on the size of the video. This is a new genre of software tools that leverage the ultra high-speed internet connectivity of developed countries. This allows them to do the entire job from a server located elsewhere, so that the user does not need to be bothered about the installation of any software, get annoyed with the compatibility issues thrown when doing an installation of such a type. The whole things can be managed via the browser itself. The steps are simple as explained above. This is also 3 click feature. You need to choose the video in mp4 and upload it to the server, select the output file conversion type, and then click to convert to do the job and finally download the converted video file back to your laptop. These types of tools mostly allow a very limited number of file types and also restrict the file sizes for obvious reasons like network latency and so on. WMV Online Converter is a good tool that also allows you to directly import a video from your Google Drive folder using the shareable link. In this case, you don't have to upload it from your computer and can do the conversion from anywhere without issues. Looking for the best screen video recorder? Here is the list of top 10 best screen video recorders to record the screen of your computer, smartphone or tablet. Selena Marie Gomez is an American singer, actress, and producer. If you love her songs, you should have a look at this list of her latest songs. Here we will also show you how to download her songs from YouTube. There are plenty of FLV media players on the internet. But which is the best one? Here in this article we list top 5 best FLV media players for your reference.